Japan's manufacturers mood 'worse' Jump to media player The latest Tankan survey - a gauge of sentiment - shows the business mood among Japan's manufacturing firms has worsened slightly in the three months to December. Are Abe's arrows hitting the targets? Jump to media player Ahead of this weekend's elections, the BBC's Linda Yueh looks at whether the so-called 'three arrows' of Abenomics are hitting their targets. Will Japan vote for more Abenomics? Jump to media player Japanese voters go to the polls this weekend, where they are widely expected to re-elect current Prime Minister Shinzo Abe. Japanese PM dissolves parliament Jump to media player Japan's Prime Minister Shinzo Abe has dissolved parliament, paving the way for an election two years ahead of schedule. Prime Minister Shinzo Abe has been re-elected for another four-year term. The election was largely seen as a referendum on his economic policies, after a sales tax hike in April failed to revive the world's third largest economy. But it's a mixed outlook for corporate Japan. The latest Tankan survey - a gauge of sentiment - shows the business mood among Japan's manufacturing firms worsened slightly in the three months to December. But these companies are also planning to increase capital spending by nearly 9% for the year to March 2015. 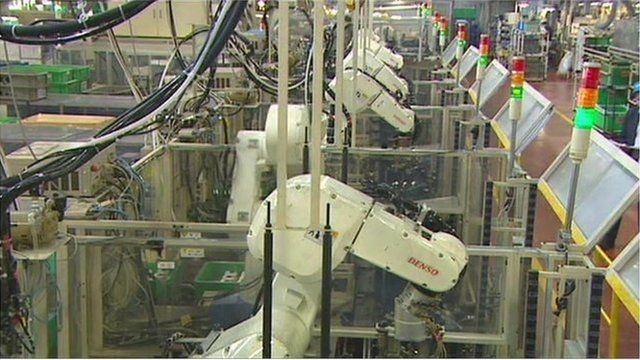 Martin Schulz from the Fujitsu Research Institute gave the BBC some analysis. Go to next video: Are Abe's arrows hitting the targets?